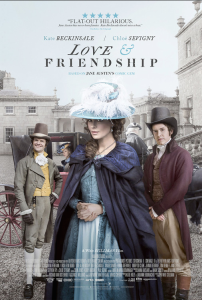 Whit Stillman’s Love & Friendship opens in the UK & Ireland today (check showtimes here). It is also opening in theaters Nationwide in the USA (check showtimes here), Canada (please click here for Showtimes), & Netherlands (please click here for showtimes). 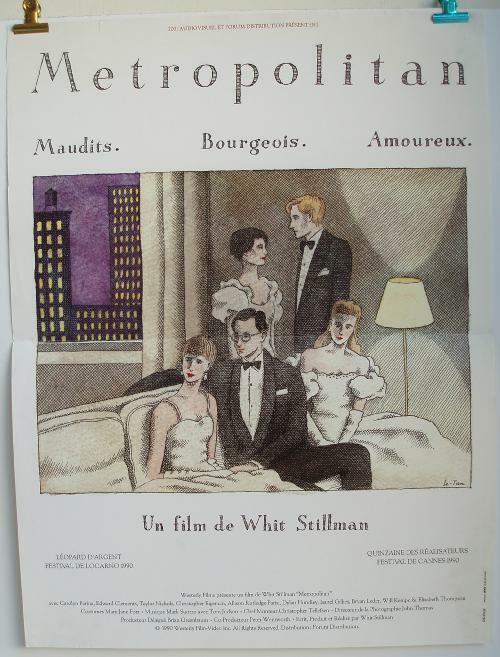 Pierre Le-Tan’s poster for Whit Stillman’s Metropolitan is featured on Groslch beer’s film website for “The Most Awesome ’90s Indie Movie Posters.” You have to be the appropriate drinking age to look at the page. Please look responsibly. Damsels in Distress helmer Whit Stillman is known for his dialogue-laden, book-y movies. And for one of his early classics, he took his love of books one step further with a poster that looks like it’s been stripped straight out of a 20th century novel, featuring white upper-middle class intellectual urbanites doing what white upper-middle class intellectual urbanites do best: look snooty. Still, I’d have it on my wall – wouldn’t you?